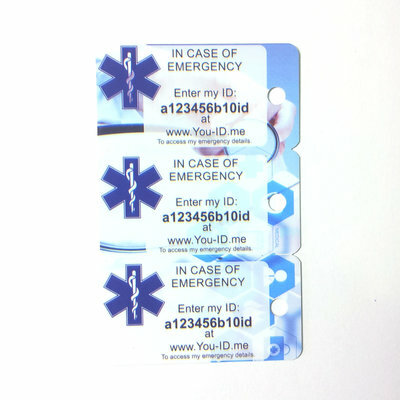 ALL YOUR emergency ID, next of kin contact numbers, medical conditions and medications embedded as a secure QR code that can be scanned by the emergency services with a smart-phone. Give the emergency services the information they need QUICKLY in the event of an accident or emergency. If you're involved in an accident or medical emergency, you may not be in a position to give your vital information. That's why carrying life-saving ID & next of kin contact details is paramount. We program this keyring / tag for you: it will contain ALL your emergency information, so it can be easily scanned by the emergency services using a domestic smart-phone; no app needed! Update your own details quickly and easily at anytime by logging into You ID Me. SECURE: ID secure & discreetly stored in QR code. 100% LATEX FREE: Hypo allergenic materials. 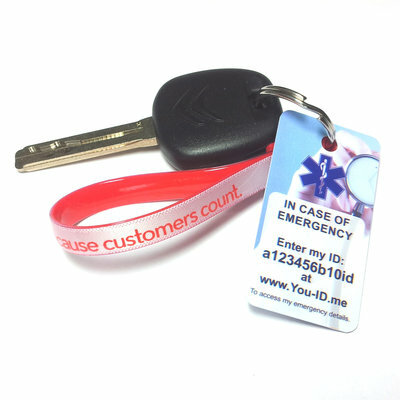 Your keyring will be dispatched same or next working day. Would you like to become one of the growing number of dealers across Europe that stock Ahead Solutions products?